PRINCETON, WV- The Princeton Rays (19-15) dropped two games to the Danville Braves (19-16) on Friday at H.P. Hunnicutt Field. The Rays fell 12-4 in the completion of their suspended game from Thursday night, and then lost 4-3 in the following seven-inning affair. The two teams resumed Thursday night's contest in the top of the fourth inning with two outs in a 2-2 tie. Princeton took a 3-2 lead in the seventh inning on a solo home run by left fielder Oscar Rojas, his second of the season, but the Braves tied it up again with one run in the eighth. After holding Princeton scoreless in the bottom of the eighth, Danville broke the game open with nine runs in the top of the ninth inning, including a three-run home run by second baseman Matt Gonzalez, his first of the year. The Rays would go on to notch just one run in the ninth on a RBI-double by first baseman Bobby Melley, before eventually falling 12-4. Rays starter Edrick Agosto pitched three and two-thirds innings on Thursday, giving up two runs on four hits and striking out three before rain forced the suspension of the game. 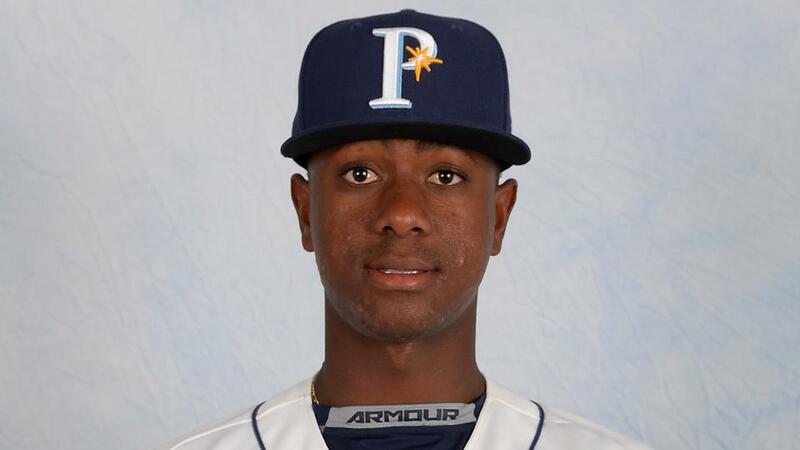 Princeton right-hander Hector Lopez led the Rays as the game resumed on Friday, pitching three and one-third scoreless innings. Rays designated hitter Trek Stemp led the team, recording four hits in the early loss. Princeton dropped another close contest later in the seven-inning, regularly-scheduled game. The Rays took an early 1-0 lead in the second on a solo home run by center fielder Emilio Gustave, his second of the season, but Danville quickly stormed back with three runs in the third to take a 3-1 lead. Princeton tied the game with a late rally, notching two runs in the sixth on a RBI-double by first baseman Devin Davis, but the 3-3 bind didn't last long. Danville scored one run in the top of the seventh inning, then held Princeton scoreless to clinch the 4-3 victory. Rays shortstop Adrian Rondon led the lineup with four hits in the second game. Princeton starter Peter Bayer pitched two scoreless innings to open the contest before the Braves notched four runs off of the bullpen to take game two. Princeton will look to avoid a sweep in the series rubber match against Danville on Sat., July 29 beginning at 7 p.m. at H.P. Hunnicutt Field.